The day has arrived……7 July 2007 (07-07-07), I decided to register my domain name wingloon.com and continue my blogging scene using this domain name. To all my blog readers, please visit this URL http://wingloon.com or http://www.wingloon.com from today onwards. Wonder how old is my car now??? Hmm…I have to check on my car registration card. The registration date was 17 Nov 1998. Wow, it is 8 years old. It has been with my since my first job. 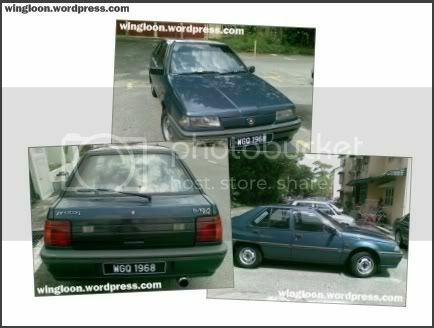 It was too costly to maintain it with my previous job requirement…traveling to Penang and Johor Bahru. So, I decided to trade-in with new tires to install into my old rims.